Vox Telecom shareholders are looking to sell the South African fibre-network provider for about R3bn to take advantage of consolidation in the industry, according to two people familiar with the matter. Owners including FirstRand’s [JSE: FSR] Rand Merchant Bank and lender Investec [JSE:INL] see an opportunity to exit, said the people, who asked not to be identified because the plans aren’t public. 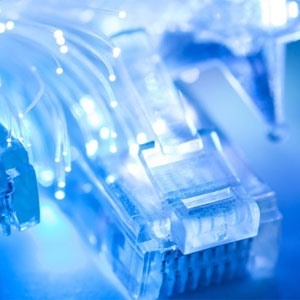 That’s after a unit of Remgro [JSE:REM], the investment vehicle of South Africa’s richest man, Johann Rupert, bought part of fibre provider Vumatel earlier this month, showing there’s appetite for deals in the industry. Fibre-to-home is booming in South Africa’s biggest cities as new entrants and infrastructure bring down the cost of high-speed internet. RMB and Investec were part of a group led by Lereko Metier that bought Vox for R452m in 2011. The owners considered a share sale on Johannesburg’s stock exchange in 2014 but didn’t attract a valuation at which they wanted to sell. Vox has since invested in expanding and building its services, said the people. The Johannesburg-based company had earnings before interest, taxes, depreciation and amortisation of about R300m during its latest financial year.